Aaron Roland Mosher, trade unionist (b in Halifax County, NS 10 May 1881; d at Ottawa 26 Sept 1959). In 1907 Mosher led Halifax freight-shed employees on strike. With the current almost religious belief in privatization and the recent debate about selling off Ontario Hydro, it is timely to look back at a time when there was a very different view of what constituted the public good. Adam Hartley Zimmerman, OC, FCA, lumber and mining executive, philanthropist, and prolific board member (born 19 February 1927 in Toronto, ON; died 19 October 2016 in Toronto, ON). Zimmerman studied at the Royal Canadian Naval College from 1944 to 1946, and then at Trinity College, University of Toronto, earning a Bachelor of Arts in philosophy in 1950. He became a chartered accountant in 1956. In 1958, Zimmerman began his career in the resource industry with Noranda Mines Ltd., rising to president and CEO by 1982. He sat on more than forty public and private boards, including Toronto-Dominion Bank, Confederation Life and the C.D. Howe Institute. Alain Stanké (Born Kaunas, Lithuania 1934). Alain Stanké, whose real name was Aloyzas-Vytas Stakevicius, was deported to a German concentration camp at the age of ten, and then emigrated to Paris complete his studies. Albert Bowman Rogers, railway surveyor, engineer (b at Orleans, Mass 28 May 1829; d at Waterville, Mass 4 May 1889). Discoverer and explorer of Kicking Horse Pass and discoverer of Rogers Pass through the Rocky and Selkirk mountain ranges in BC. Albert Edgar Hickman, businessman, politician (b at Grand Bank, Nfld 2 Aug 1875; d at St John's 9 Feb 1943). Newfoundland's seventeenth prime minister, he held that office for just 33 days from 10 May to 11 June 1924, the shortest administration in Newfoundland's history. Albert Faucher, economist and historian (b at Quebec 20 Jul 1915 - d at Québec, Qc, 19 Mar 1992). He first studied at U Laval where he came first in his class at the new School of Social Sciences founded in 1938. Albert Jean De Grandpré, lawyer, business executive (b at Montréal 14 Sept 1921). Educated at Collège Jean-de-Brébeuf (BA 1940) and McGill University (BLC 1943), he practised insurance law in Québec during 1943-66 before joining Bell Canada as general counsel. Albert Nordheimer. Music dealer, publisher, piano manufacturer, b Toronto ca 1850-5, d there 2 Dec 1938. 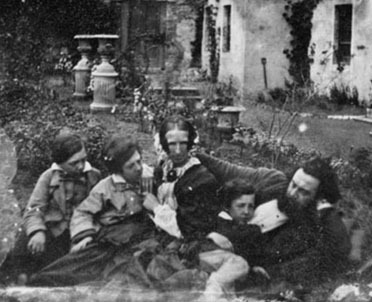 Educated at Upper Canada College, Toronto, and in Europe, he joined A. & S. Nordheimer music store and publishing firm in 1870 and became managing director and later (1912-27) president. 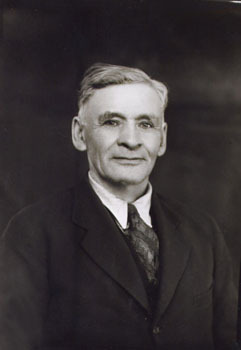 Alexander James McPhail, farmer, farm leader, businessman (b near Paisley, Ont 23 Dec 1883; d at Regina 21 Oct 1931). Alexander Melville Bell, educator, founder of the Canadian telephone industry (b at Edinburgh, Scot 1 Mar 1819; d at Washington, DC 7 Aug 1905). He was the father of Alexander Graham Bell. Alex Monkman was a constant advocate of roads to the Grande Prairie. 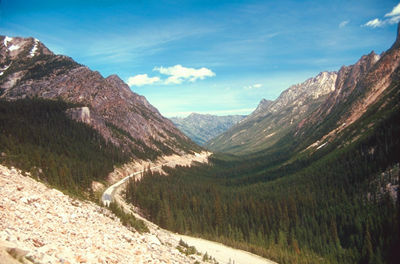 In the early 1920s he and some companions discovered a pass lower than the Yellowhead Pass through the Rocky Mountains. Alexander Pantages, né Pericles, entrepreneur, vaudeville and motion picture theatre owner and manager (b at Andros, Greece 17 Feb 1867; d at Los Angeles 17 Feb 1936). Pericles Pantages was reputed to have changed his name to Alexander after hearing the story of Alexander the Great. Alexander Rankin, timber merchant, politician (b in parish of Mearns, Scot 31 Dec 1788; d at Liverpool, Eng 3 Apr 1852). Rankin became a clerk in the firm of Pollok, Gilmour and Co, Glasgow merchants who traded with the Baltic ports. Alexander Stirling MacMillan, businessman, politician, premier of Nova Scotia 1940-45 (b at Upper South River, NS 31 Oct 1871? ; d at Halifax 7 Aug 1955). Alfred Boyd, merchant, politician, premier of Manitoba, 1870-71 (d in Eng 1909). Described as a "native of Canada," Boyd was operating a general store at Red River prior to the troubles of 1869-70. 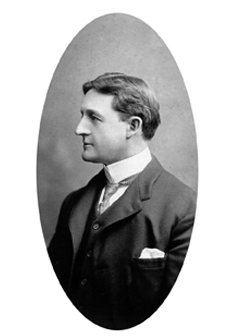 Alfred Ernest Ames, investment dealer (b at Lambeth, CW 3 Sept 1866; d at Toronto 20 Sept 1934). He worked as a bank clerk, then moved to Toronto and established A.E. Ames Co, investment dealers, 1889, the same year he married Mary Cox, daughter of financier and senator George Cox. Alfred Ernest Cross, rancher, brewer (b at Montréal 26 June 1861; d there 10 Mar 1932). A graduate of Ontario Agricultural College and Montreal Veterinary College, Cross came to Calgary in 1884 as veterinarian and assistant manager of the British-American Horse Ranch Co.
Alfred Rouleau, insurance agent, administrator and president of Mouvement Desjardins (born 19 August 1915 in Sherbrooke, Qué; died 19 October 1985 in Montréal). Allan Gilmour, shipbuilder, timber merchant (b at Craigton, Mearns [Strathclyde], Scot 29 Sept 1805; d at Glasgow, Scot 18 Nov 1884).